This is our first video showing Miles Priestley talking about his coffee roasting — the background noise is the trusty roasting machine which brings us extraordinary flavours at the hands of the Maestro – Miles. Miles Priestley of BesitoCoffee.com shows us the evolution of roasting coffee beans, and what they look like. If you’d like to try Besito Coffee pop over to the website and you can place your order and have it delivered to you, or come and visit Miles Priestley and the gang wherever they are on the Gold Coast of Australia. 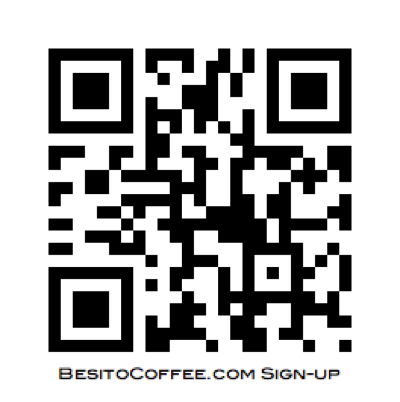 Make sure to sign up for the mailing list, so you’ll be notified when there are any new flavours or new coffee for you to try out, or any specials. Do you have an questions about our coffee? Pop over to the FAQ page or contact us today, we look forward to hearing from you! Sign up today to get our News in your inbox! Do you have a question, a suggestion or just want to get in touch? Please fill in the form (click the Contacts menu button) or call Miles, and we'll get back to you as soon as we can. We’re on the Gold Coast of Australia! Hire out mobile coffee cart (van) on the Gold Coast! Love our coffee? Want to send us a Testimonial? We'd love to hear from you!